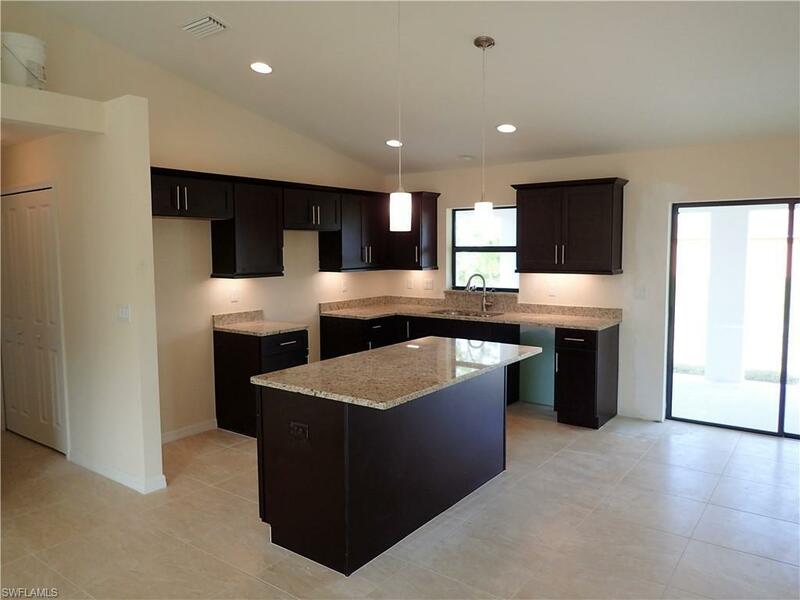 **BRAND NEW, READY NOW**Great central location between Sunshine Blvd S. and Gunnery Rd. with plenty of room to add a pool. Not located in a flood zone, flood insurance may not be mandatory. 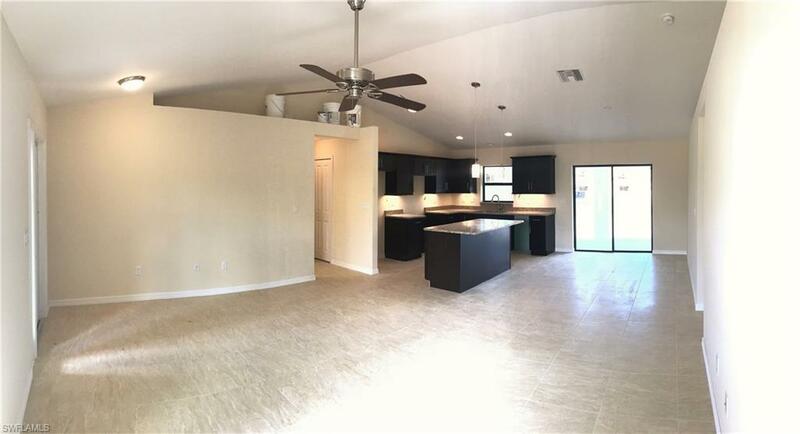 This great room design home has 3 bedrooms, 2 baths, 2 ceiling fans, split bedrooms, inside laundry room with deep sink and a large (9x20) open lanai. 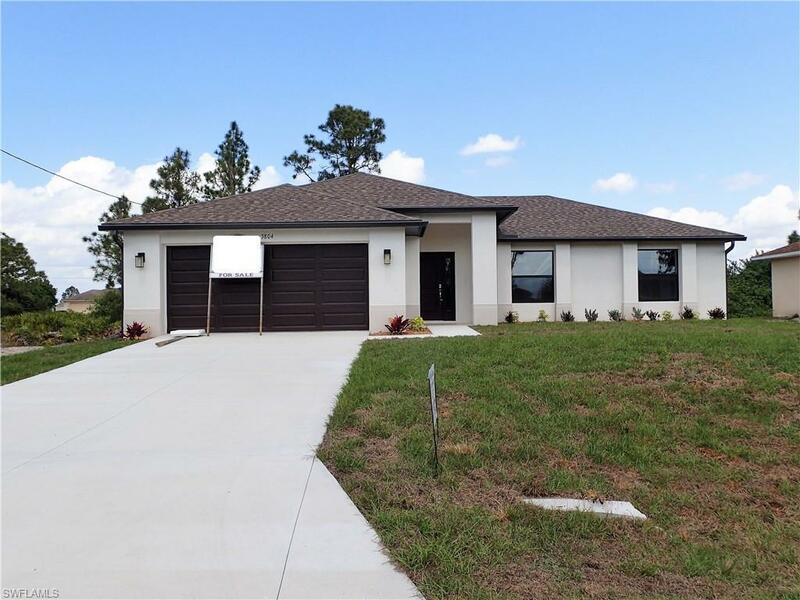 Other features of this home include: 16 seer a/c unit, low E single hung tinted dual panel insulated glass windows, tile floors throughout with carpet in 3 bedrooms, granite counter tops in kitchen & bathrooms, master bedroom has tray ceiling, large walk-in closet with a master bath that has dual sinks & walk-in shower. Landscaping to be completed with Bahia sod and miscellaneous shrubs. Stainless steel kitchen appliances to include: side by side refrigerator, dishwasher, microwave & range (to be delivered a few days prior to closing). Kitchen will also have under cabinet lighting. SOME PHOTOS OF SIMILAR HOME SHOWN--please read notes under photos. Builder is VA approved.